A drawing of a component, in addition to providing complete shape description, must also furnish information regarding the size description. These are provided through the distances between the surfaces, location of holes, nature of surface finish, type of material, etc. The expression of these features on a drawing, using lines, symbols, figures and notes is called dimensioning. 1. No dimension should be assumed, calculated or directly measured from drawing. 2. Dimensions should be placed outside the views, if unavoidable, they may be placed inside if more clear and easy to read. 3. No Dimensions should be repeated. 4. In orthographic views, dimensions should be given logically .Dimensions should be distributes in three views logically and equally in all views. 5. 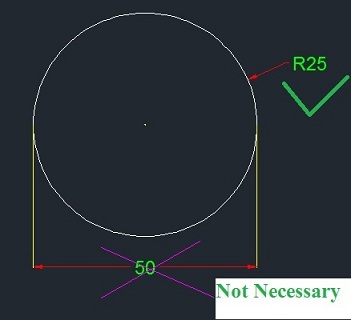 Dimensions lines should be placed at least 8 mm, away from outlines and from each other. 6. The dimensions lines should not cross each other. 7. If there are number of dimensions, the smaller one should be nearer to the view, as shown in fig. 8. For a numbers of dimensions, they should be given in a progressive manner i.e. in increasing order as given in fig. 9. When a number parallel dimension lines are to be drawn, they are shown staggered as shown in fig. 10. Arrowheads should ordinarily be drawn within the limits of dimensioned features. But when the space is too narrow, they may be placed outside as shown in fig. 11. 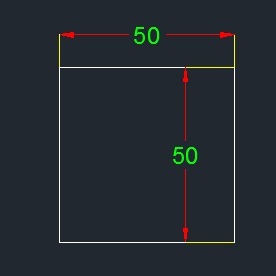 Dimensions of cylindrical parts should as far as possible in the views in which they are seen as rectangles .The dimensions indicating a diameter should be followed by a symbol as shown in below fig. 13. Angular dimensions may be shown by one of the method shown. 14. Countersunk and threading are shown as below. 15. Symbols for methods of projection must be shown on drawings. Great techniques. I also think you should try this write my paper service.